It is believed that Post Traumatic Stress Disorder, or PTSD, affects as much as 7.7 million American adults. The Department of Veteran Affairs estimates that 20% of those suffering from PTSD are Iraq war veterans. There are 20.4 million veterans living in the United States today. Their services span the last 100 years. With a population this large, it is not uncommon to meet veterans who have served in multiple wars, meaning that of those 7.7 million Americans who suffer from PTSD, a large number could be multiple war veterans. PTSD is described as a disorder that can occur after having suffered a traumatic event. Symptoms can arise shortly after the traumatic event but some have reported symptoms manifesting several months to years later. Symptoms include reliving the event that induced trauma, avoiding situations reminiscent of the trauma, depression, and hyperarousal (being jittery, always on the alert, irritability, aggression). Considering the events that may occur during war, it is no surprise that war veterans may show symptoms of PTSD. Life for veterans who have been discharged or served out their time of duty can be difficult enough without PTSD; adding the disorder can make life complicated, and as a result, these affected individuals sometimes turn to activities that are in conflict with the law. Behaviors such as alcoholism and public outbursts due to triggers are only some of the actions that can mark a veteran as a target of the police. For example, upon returning from duty in Iraq, veteran Christopher Lee Boyd grew irritable and paranoid. In an attempt to protect his family, he began to carry a gun. He became prone to drinking himself to sleep in order to avoid nightmares related to his memories of the war. After having spent one entire day drinking, he remembers waking up in a police car headed to prison. Boyd was told by the cops that he ended up at a party and shot one of his friends in the chest. Luckily, his friend survived, but Boyd was sentenced to five years behind bars. Boyd’s story is not too uncommon within the veterans’ community, but not all are negative. Thanks to situations like these as well as recently acquired knowledge about PTSD and how it affects war veterans, it is quite possible to avoid criminal convictions following run-ins with the law. Many states like Illinois are beginning to pass laws protecting veterans from having to serve jail time. Instead, they are sentencing them to serve time in treatment for disorders like PTSD. In 2009, Cook County was the first in Illinois to pass this law marking the birth of the Cook County Veterans Court. Over the next couple of years, several more counties would follow suit. As national opinions towards mental illness begin to shift, we also see a shift in the way criminal cases are being handled. Veterans have made a large contribution to the wellbeing of this country and the nation is trying to do better for them. The Cook County Veterans Treatment Court recognizes that reintegration to the community must occur with a little rehabilitation. If a veteran has been convicted of a nonviolent crime and agrees to cooperate with the court, he or she will be connected with the type of support necessary. 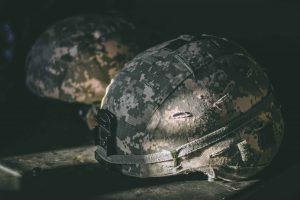 If you are a veteran who has been convicted of a crime or simply want to learn more about this type of support, contact David Freidberg Attorney at Law at (312) 560-7100 for the advice you can trust.